Description : Sponecell allows you to easily create and share calendar. you can customize your calendar to be your own, share your calendar by having Spongecell spread your events through email, blogs, web pages, iPhods, and cell phones. 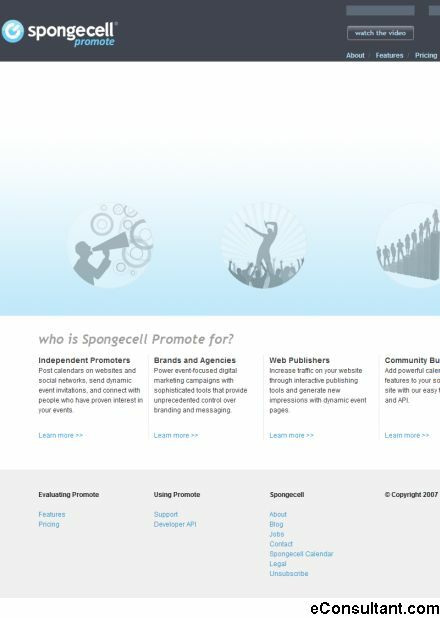 Use Spongecell to make your event a success. It spreads the word quickly and in ways people are familiar with – no new web sites or software required.